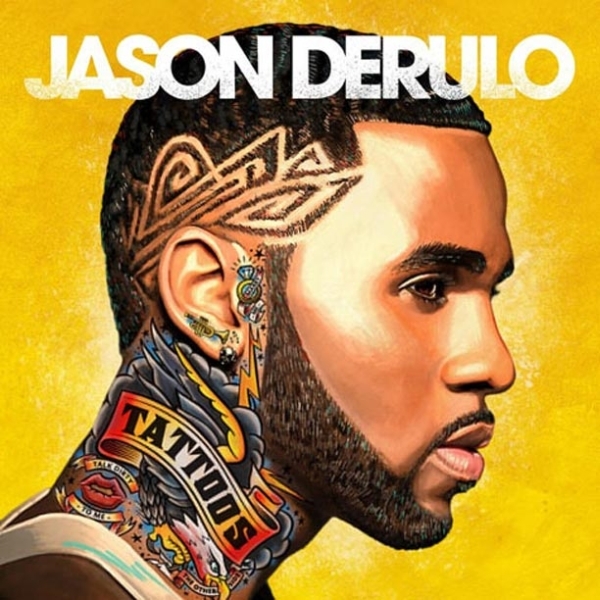 Tattoos is the third studio album by American singer Jason Derulo. The album was released on September 20, 2013 through Beluga Heights Records and Warner Bros. The font used for the singer name on the cover is probably ITC Avant Garde Gothic Bold, a geometric sans originally designed by Herb Lubalin and Tom Carnase. The font has also been used on the cover artwork of Talk Dirty, the reissue of the album Tattoos. You can view more details about ITC Avant Garde Gothic here. In addition to Tattoos, Avant Garde Gothic typeface is also used in the following logos, movie posters or album covers etc., including: The Enforcer, Parker Brothers, Euphoria, Cricket Wireless, Paracosm (Washed Out), Grown Ups, Ora (Rita Ora album), Techniker Krankenkasse, Liv & Ingmar, Adele 21, Mobil, Breaking Your Fall, Prince of Stride, To Write Love on Her Arms, Toast of London.